Boxing is one of the scariest sports in the world, but people like the heavyweight champion, Lennox Lewis, has made a name for themselves thereof. This boxer had a successful career in boxing that lasted for twenty years and created a rich legacy that speaks of the type of boxer he was. Keep reading to learn more about Lennox Lewis. In 1965 and on the 2nd of September in London, England, Lennox Claudius Lewis was born to his Jamaican parents; there is no information available to the public regarding them except that they were born in Jamaica. It is believed that he got the name Lennox from the doctor who aided with his birth. Lennox Lewis spent most of his early years as a child in England. In 1977 when he was 12, his family moved to Canada, Ontario precisely. While in Canada, he went to high school at Cameron Heights Collegiate Institute. He was part of the school’s football, soccer, and basketball teams, excelling at all three of the sports. Lennox is a citizen of Britain and Canada. In 1983, Lewis made the decision to become a boxer and he started with amateur boxing. His first gold medal for boxing was won at the junior world championship in that same year. In the following year (1984), he attended the Summer Olympics in Los Angeles, representing Canada. But then, he lost the quarter-final match to Tyrell Biggs. Lennox remained in amateur boxing for four years, with the hope that in the 1988 Olympics, he would win a gold medal. The Commonwealth Games of 1986 was when he won his next gold medal. At Seoul during the Summer Olympics of 1988, he won another gold medal, hence achieving the goal that made him delay his professional career. His career in amateur boxing ended with 82 matches with him winning 75 matches; 58 were by knockout and he lost 7 games. After his Olympic win, Lewis moved back to England in an attempt to start a career as a professional boxer. His professional boxing career began with a lot of successful fights and in 1990, he went ahead to win the title of European heavyweight after defeating Jean Maurice Chanet of France. In 1991, he defeated Gary Mason who until that time was undefeated. The next year (1992), he triumphed over Derek Williams and won the titles held by both men. The most memorable win of his career occurred on the 31st of October 1992 in a WBC fight against Canadian heavyweight Donovan ‘Razor’ Ruddock, the fight lasted just the first two rounds. This match was what proved his competence as one of the best heavyweights in the world; he lost this title to Oliver McCall two years after. However, Lennox Lewis got the opportunity to reclaim his title in 1997 in a match that has been categorized in the history of boxing as one of the weirdest fights. McCall refused to fight after the third round, granting Lewis the title by default. On the 8th of June in 2002, Lewis defeated Mike Tyson and once again proved himself as a great boxer. Then, the match was the highest-grossing event to have ever happened in the history of pay-per-view. Lewis Lennox retired from boxing in 2004 with a total of 44 fights to his name. He won 41 of these fights, 32 of which were knockouts. The man only lost 2 fights; one was a draw. While in retirement, he worked for HBO as a boxing analyst between 2006 and 2010. He is considered one of the greatest boxers of all time, breaking and setting records, some of which have not been broken by any other boxer. 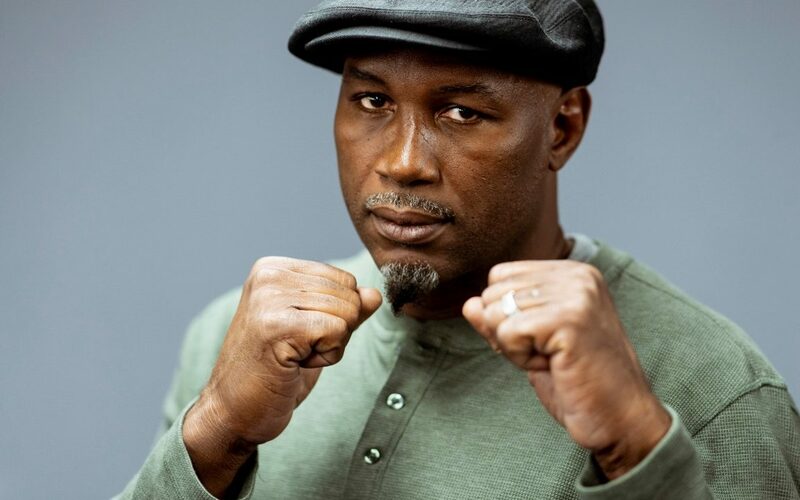 Lennox Lewis enjoyed a very successful career in boxing, it is estimated that his net worth is $160 million, most of which he made from the earnings he accrued from winning fights in his long boxing career. A good bulk of the man’s wealth also came from the endorsement deals he’s had with popular brands. Lewis Lennox got married to a former runner-up of the Miss Jamaica contest, Violent Chang in 2005. 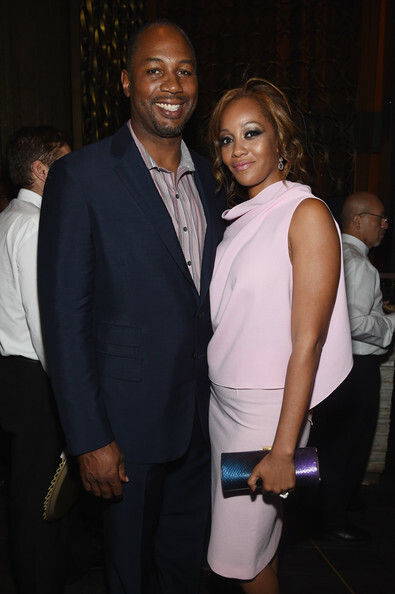 The couple has four children – Leviah Lewis, Leya Lewis, Landon Lewis, Ling Lewis –and they all live in Miami Beach. While it has circulated in some quarters that the boxer is gay and has been paying his partner to keep their affair a secret, the rumor has not been substantiated in any way. To the best of our knowledge, he’s straight and has been having a good life with his wife and kids.